Ford Motor Company yesterday announced a plan to build future electric vehicles at a Michigan plant that currently makes the Ford Mustang. Ironically, the plant won’t be where Ford will ramp up production next year of its Mustang-influenced all-electric performance SUV; but the move represents an important shift for Ford. Previously the automaker said that it would build a hybrid autonomous vehicle, as well as an electric vehicle, at Flat Rock. Now it’s pivoted toward more electric vehicles at the plant, and says that the plant will build models based on Ford’s next-generation flexible electric-vehicle architecture. “We’ve taken a fresh look at the growth rates of electrified vehicles and know we need to protect additional production capacity given our accelerated plans for fully electric vehicles,” said Joe Hinrichs, Ford’s president for global operations, in a press release. In 2017, Ford agreed to expand production of a hybrid autonomous vehicle at Flat Rock, starting in 2021, while setting production of the electric SUV to start in 2020 in Mexico. At that time Ford was expected to build about 4,500 autonomous vehicles per year at Flat Rock, while making about 25,000 per year of what was characterized as a “low-volume electric SUV” in Mexico. However Ford has since said that this vehicle will offer mainstream pricing and not be just a niche vehicle—and that it will be joined by a Lincoln version. 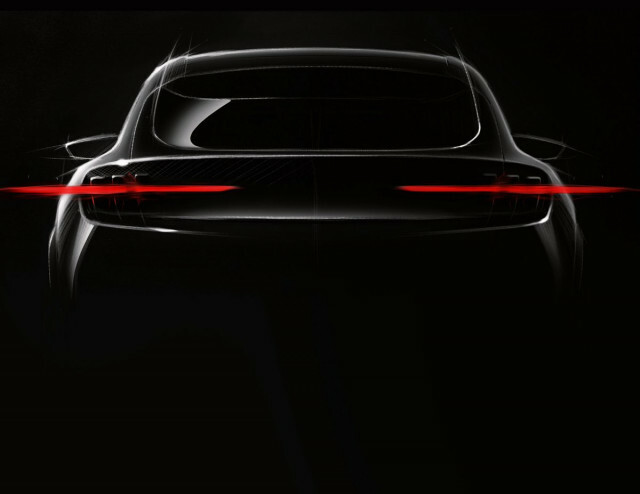 Last week, Ford appeared to release a teaser of the upcoming Mustang-inspired SUV at about the time the Tesla Model Y was being introduced. The Ford could prove one of the closest rivals to the Model Y in terms of performance and packaging. While the autonomous vehicle will still be made at the Michigan plant, yesterday’s announcement will bring electric-vehicle production to the plant in 2023. Ford plans to invest $850 million in the plant altogether. To transition it to EV production will require retooling of the plant and some extensive reconfiguration—all while the plant continues to produce the next-generation of the Mustang.